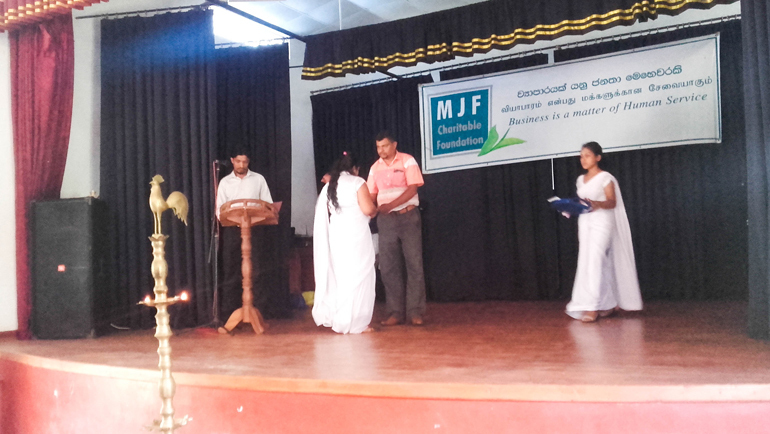 HomeNews & EventsNewsDhiriya Awards – Building the base for a better life. Dhiriya the MJF Center for Education & Vocational Training is a collaboration of MJFCF and Dilmah distributor, Gourmet Foods, Poland which was initiated in 2007. 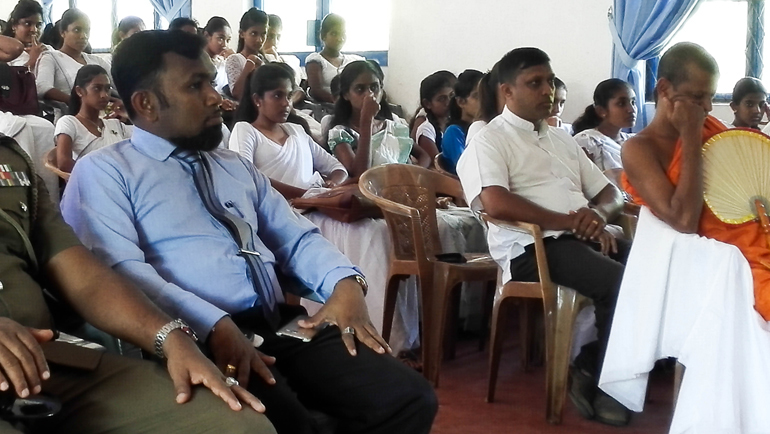 For over ten years, Dhiriya Centre has successfully extended educational and vocational support to children and youth in Siyambalanduwa, a small, agricultural town located in the arid zone of Monaragala District, Sri Lanka. This social initiative by Dilmah and the MJF Group with the MJFCF makes business a matter of human service by empowering underprivileged communities, living in areas that are severely impoverished in socio-economic and educational spheres. 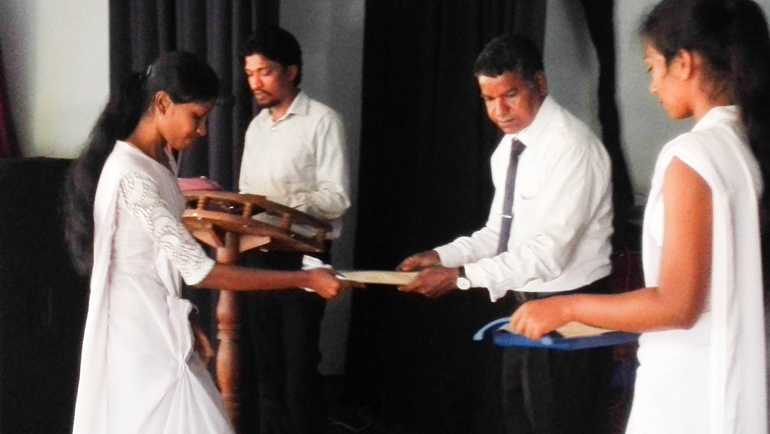 The Award Ceremony of Dhiriya Centre for education and vocational training for the academic years of 2016 and 2017 was held recently at the Sri Lanka Youth Services Council Cultural Centre, Siyambalanduwa. 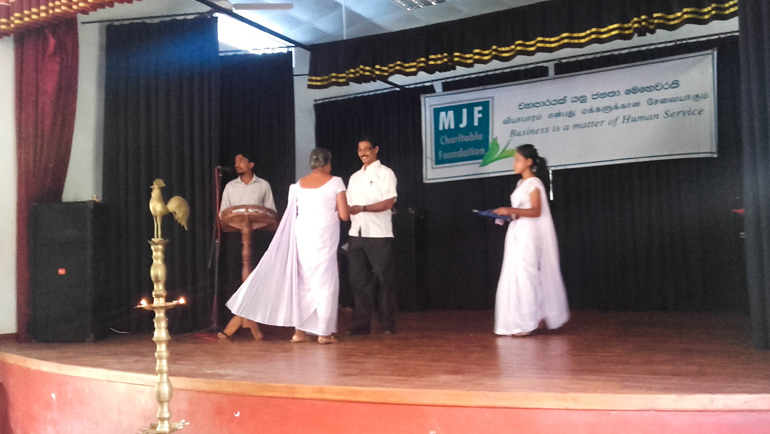 A total of 231 awardees who successfully completed their courses in Dress-making and Tailoring, Information Technology, English and Tamil received diplomas and certificates at the ceremony. 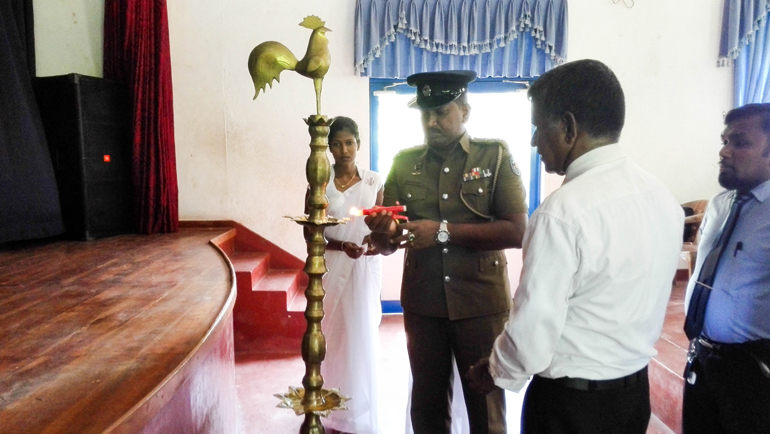 The Chief Reverend of the Buddhist temple of the area and several distinguished government officials graced the event with their presence. 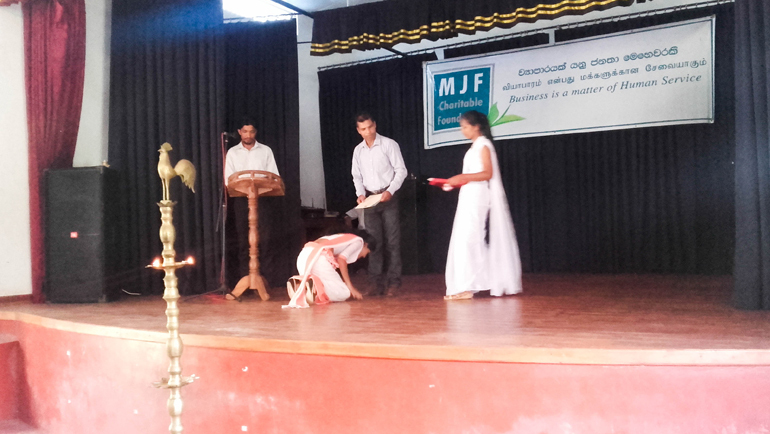 Following the welcome speech by Dhiriya Centre Coordinator, Chaminda Samarawickrema, Rajika Shrimali, a student qualified to enter university delivered an eloquent speech in English, emphasizing the importance of English and Tamil proficiency and IT, which are essential skills for job seekers today. Thanks to the knowledge and skills acquired at Dhiriya, Rajika feels more confident about her future. She showed her gratitude and appreciation towards the Centre for giving the foundation and exposure to careers and landscapes of opportunities in the competitive society. In his speech, District Medical Officer of Siyambalanduwa, Dr Dammika lauded the service rendered by Dhiriya to students to make their dreams possible in seemingly impossible circumstances. The audience too was given the opportunity to share their thoughts on how SEP and Educational programs at Dhiriya helped them to scale their business while uplifting their livelihood. 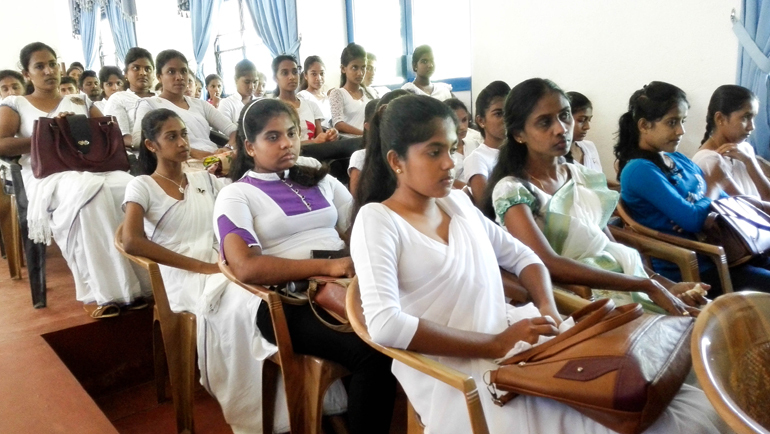 Success Stories at Dhiriya, in which underprivileged children and youth feel their self-worth, resonates with Dilmah’s vision to accelerate social and economic change in Sri Lanka. Through encouragement-Dhiriya, and benevolent hearts, we can uplift the livelihood of less-fortunate from a child to an entire community, making an impact that would last for generations.